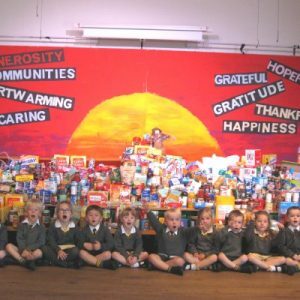 All pupils are encouraged to help organise and support a range of activities to contribute to local and national charities. 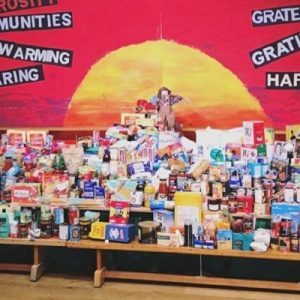 In doing so we feel it is important to raise their awareness that there are people in the world less fortunate, and that people’s practical needs can be met. 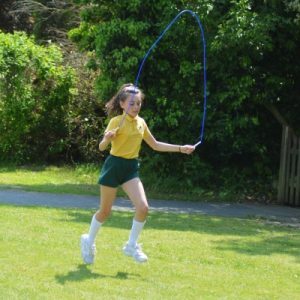 Pupils are regularly involved in various events and themed days to raise funds for worthy local and national causes. 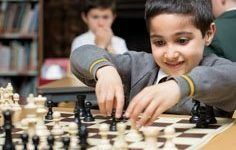 Last year we supported a number of worthy charities and good causes including the British Heart Foundation and United World Schools. WE Day is a charity project with the aim of raising global awareness and encouraging children to make an impact in our local and global communities. 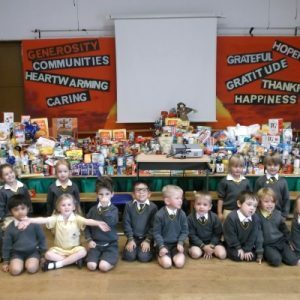 Children are challenge to think about the everyday issues that the charity supports such as poverty, pollution, animal cruelty, littering and many more. Some pupils got the opportunity to attend the WE Day celebrations held at Wembley Arena. 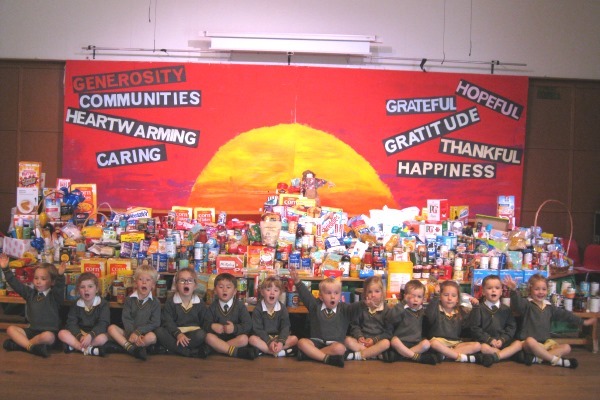 Years 1 to 6 took part in a sponsored skip on the field. 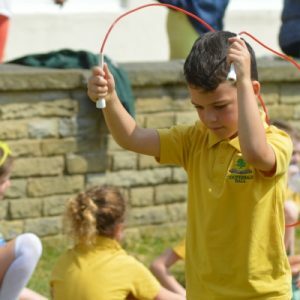 Each class split into small groups to try different skipping tasks including a skipping race, long rope jump and skipping tricks. 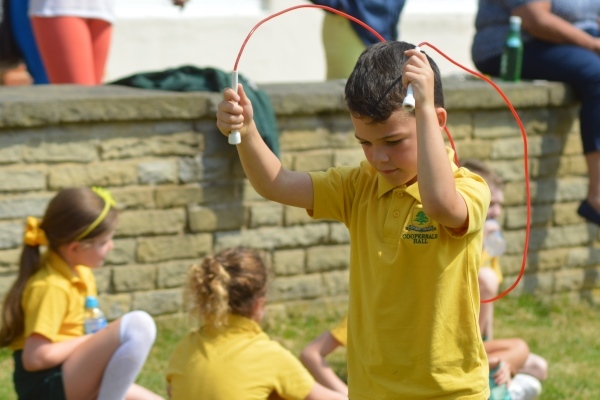 We were truly impressed by the skills on show! 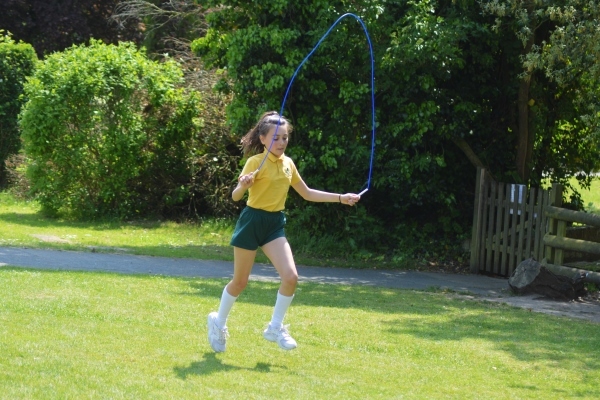 The activity was sponsored, all in aid of The British Heart Foundation. In total we raised an amazing £4164! Thank you everyone for your generosity. 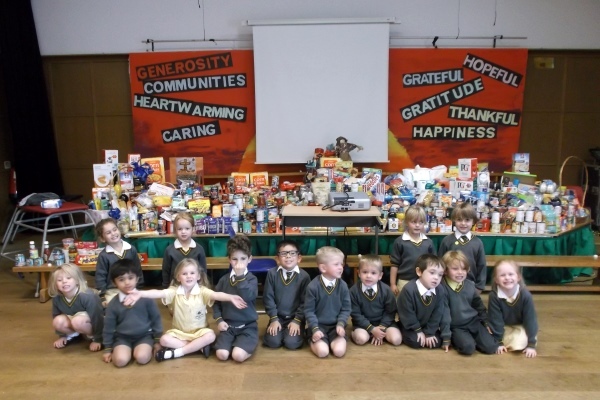 Children from all age groups brought in food items as a Harvest donation this year. The amount of donations were overwhelming with all produce given to the elderly at Pelly Court Care Home. So it is with great pleasure that we are asking you to donate specific plastic items e.g. plastic milk tops, that might otherwise go to a landfill site. You can find details of what can be donated on the flyers that have gone home, plus there is one up in the courtyard by the back door. 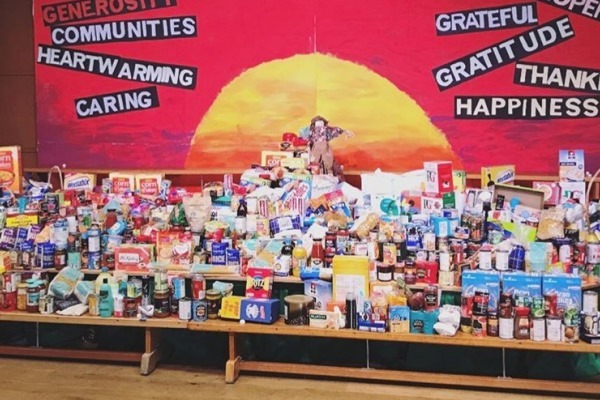 Our children have kindly volunteered to help out by sorting the plastic into bags to be collected by two charities taking part in this project. Ellie’s Fund supports research into childhood brain cancers, and Lupus UK funds research for lupus sufferers. Through this appeal we hope to help our planet and some of those less fortunate than ourselves with whom we share it. 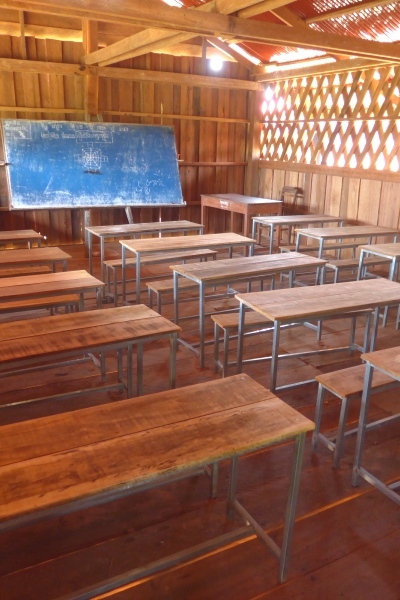 This year Coopersale Hall have been making the future brighter by helping to build a United World School in Cambodia. 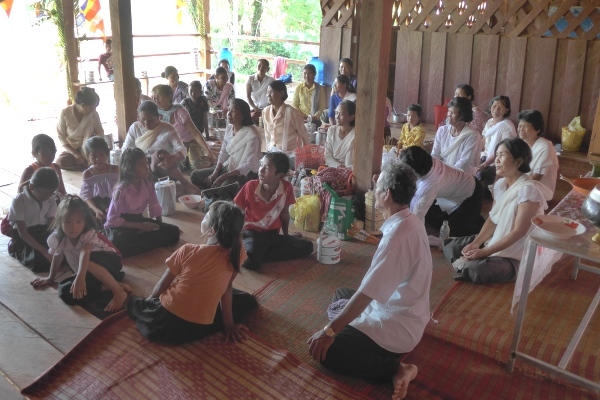 Along with forty other ISA schools, including fellow Oak-Tree Schools, Coopersale Hall has pledged to raise funds to set up the first school in the remote community of Pong Tek which will have a transformational impact on the whole community. 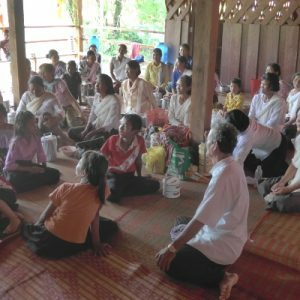 Everyone in the village of Pong Tek is currently involved in subsistence agriculture with very few other opportunities available without a basic education. There are over 1000 people living in the village and only around 5% can currently read or write. 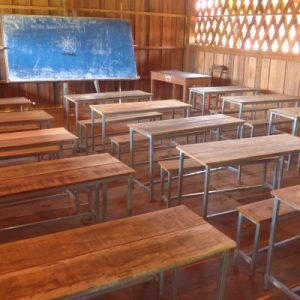 The ISA-UWS School will be a first for the community and will instantly provide a life changing opportunity for over 230 out-of-school children. UWS have informed the school that the pledges made so far have meant they can continue moving forward with the construction. As the pictures below show, they have already made a lot of progress. We are delighted to be involved in this initiative and thank our pupils and families in advance for their support in the coming year to reach our pledge amount of £500, which started with Christmas Jumper Day on Wednesday 13 December.